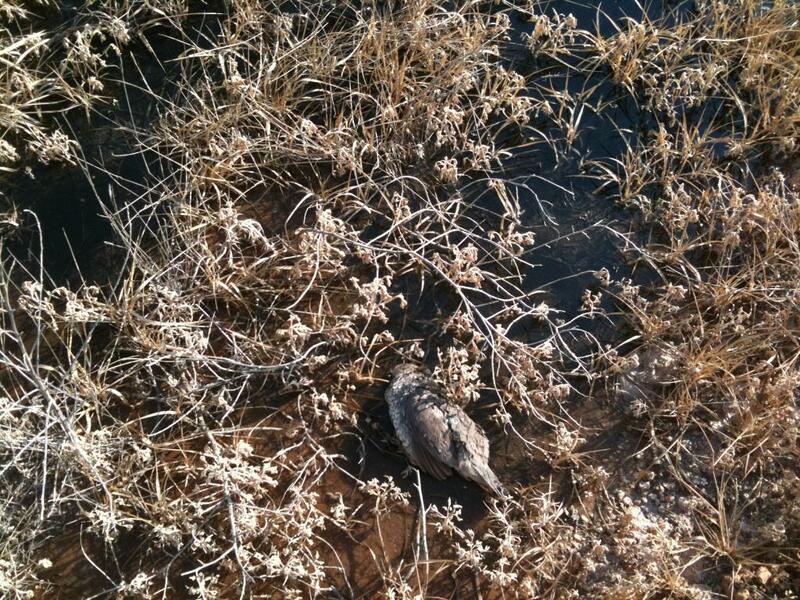 Casualty of the oil spill in the Southfork community, south Odessa. This raises many questions. As noted in previous posts, oil companies pump toxic, carcinogenic chemicals down the hole through the water table routinely, i.e. Xylene, Toulene, Benzene, diesel, gasoline, etc. Now, presuming that these chemicals remain toxic, aren’t those same chemicals contained in this oil? Are we to believe that oil companies have mastered alchemy and that these toxic chemicals when in drums on the surface magically transform into benign, harmless substances when sent down hole and mixed with oil? If so, we have some lead we’d like to turn into gold! Gardap member witnesses this rig wipe out a cemetery sign on FM 1788. What if a person had been standing on the side of the road? This area has become a dangerous place to be. 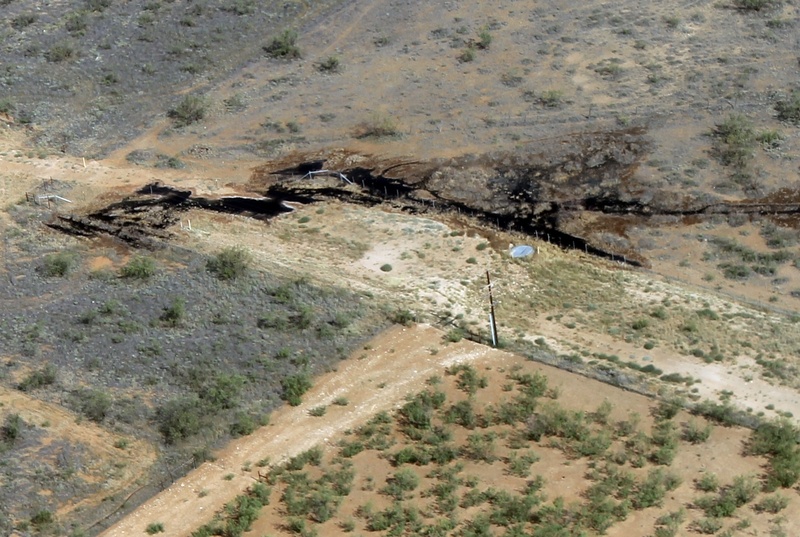 Local DPS officials tell GARDAP that this type of damage, and worse, is becoming routine in the Permian Basin. 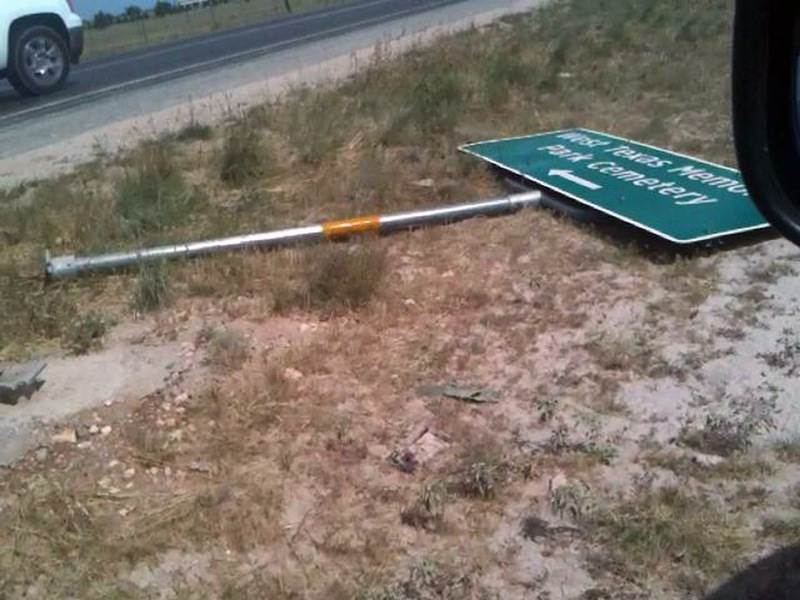 This sign “laid to rest” by rig platform costing taxpayers to replace. 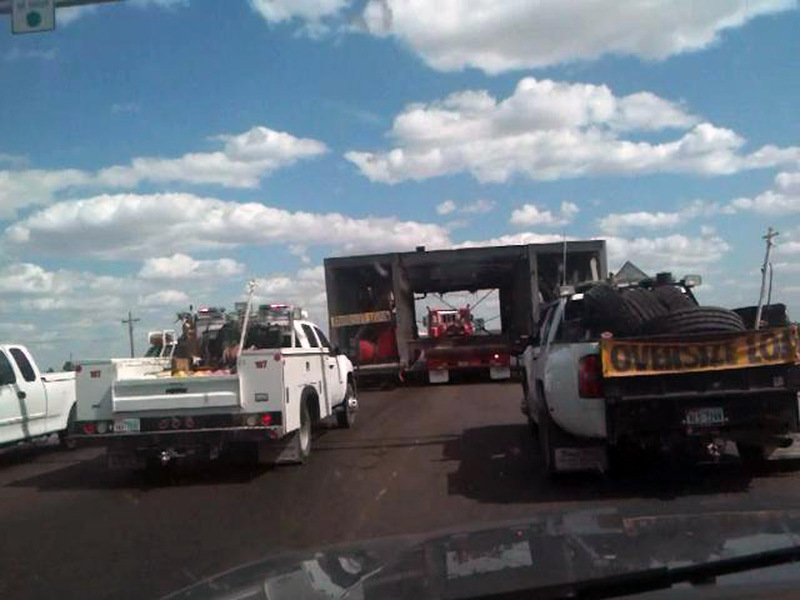 Pipeline leaking oil in southwest Odessa. There’s a home out of the picture to the left. How would you like that next to your home? 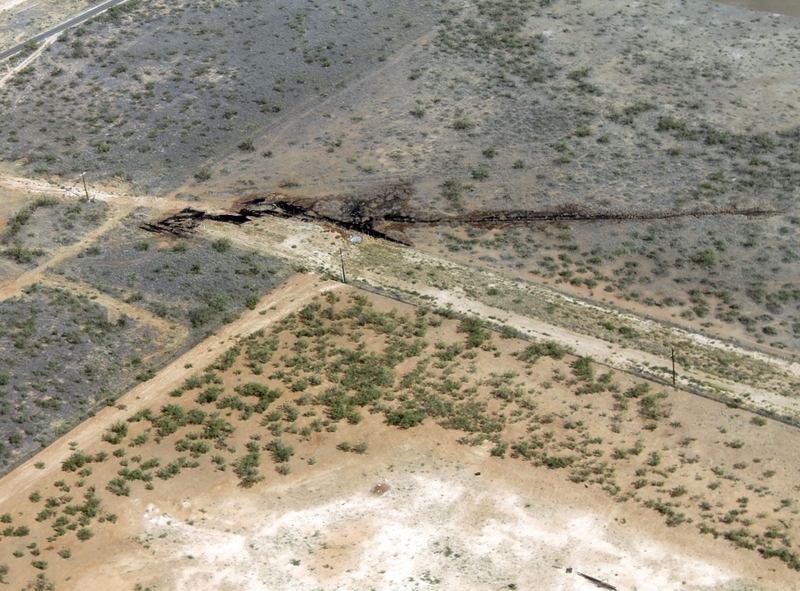 In this closeup view, one can see the magnitude of the spill. How will this spill affect the underground water source? “Berry Tales” are real, first-hand accounts of how residents of Gardendale, TX have been treated by Berry Petroleum and their ‘landman’ representative, Gray Surface Specialties. In this episode, a 70 year old, Vietnam veteran suffering from ventricular tachycardia almost died while being staked for an oil well by Berry Petroleum . Ron and Betty have lived in Gardendale for over 20 years. They are retired and hoped to live a peaceful life…Berry Petroleum has changed that. 1,194 pounds of Xylene gone somewhere???? Some on the ground, most down the gas hole, but nobody knows for sure. All that remains are semi-empty drums of toxic substances left on our land as trash. 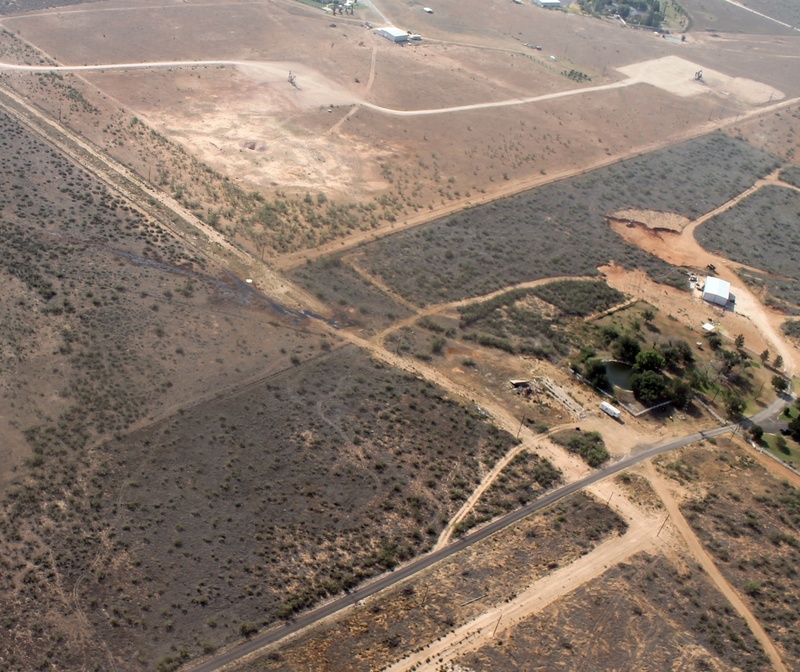 Do the math: 1,194 pounds times 100’s of 1,000’s of wells…equals 1 toxic place to live. Tank Battery Explosion in Stanton! These things shouldn’t be near homes/churches!